It’s easy to order! 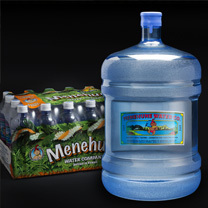 Tired of picking up your heavy water bottles? Let us do the work for you. You never have to leave your home or office. We provide the convenience of free delivery right to your doorstep. Our sales team is great! We can get you signed up quick and easy. Call us today at (808) 487-7777. Or order online!